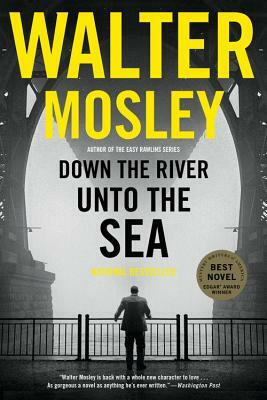 In this "vibrant" Edgar-nominated bestseller (New York Times Book Review), Walter Mosley introduces a hard-boiled new character: King Oliver. Joe King Oliver was one of the NYPD's finest investigators, until, dispatched to arrest a well-heeled car thief, he is framed for assault by his enemies within the NYPD, a charge which lands him in solitary at Rikers Island. A decade later, King is a private detective, running his agency with the help of his teenage daughter, Aja-Denise. Broken by the brutality he suffered and committed in equal measure while behind bars, his work and his daughter are the only light in his solitary life. When he receives a card in the mail from the woman who admits she was paid to frame him those years ago, King realizes that he has no choice but to take his own case: figuring out who on the force wanted him disposed of--and why. Running in parallel with King's own quest for justice is the case of a Black radical journalist accused of killing two on-duty police officers who had been abusing their badges to traffic in drugs and women within the city's poorest neighborhoods. Joined by Melquarth Frost, a brilliant sociopath, our hero must beat dirty cops and dirtier bankers, craven lawyers, and above all keep his daughter far from the underworld in which he works. All the while, two lives hang in the balance: King's client's, and King's own.